2.2 Mars Pathfinder (MPF) and Phoenix Pressure Issues. The MPF Tavis sensor had a limit of 0.174 PSIA (see Figure 10B). But, “The pressure sensor obtains data in two ranges simultaneously; 0 to 12 mbar for descent and only 6 to 10 mbar for surface observation” (http://atmos.nmsu.edu/PDS/data/mpam_0001/document/asmtinst.htm). The above link indicates that the tube entry port lies in the plane of the aperture between the lander instrument shelf and 2 petals. 30 It is oriented perpendicular to the anticipated airflow during descent. As no objects were allowed to extend beyond the lander profile during descent the entry port location is not ideal As was shown on Table 1 earlier, based on an average pressure of 6.1 mbar at Mars areoid, the average pressure to be expected for Pathfinder at an elevation of 3.682 km below areoid would be about 8.58 mbar. If we accept the variations in pressure shown on Figure 9A and later on Figure 18, and then allow for pressure increases due to dust storms, a limit of 10 mbar for the sensor seems ill-advised. An issue with respect to how fast the dust filters for transducers on landers could have clogged relates to when the air tube was initially exposed to ambient conditions. If open to space all the way down, then air might not rush in so fast; while if the tube were suddenly opened on the surface, more dust might be expected to rush in, even at supersonic speeds. Alvin Seiff, et al. (1997) indicates that for Pathfinder the plan was for atmospheric pressure (and temperature) to be measured during parachute descent from ~8 km to the surface31 The air inlet was connected to the flared tube fitting shown in Figure 10B by one meter of 2 mm inside diameter tubing. Dr. Robert Sulliavan (Cornell University) told us (on July 27, 2011) that while 1µ particles on the surface of Mars clump together quickly, larger particles that were easier to move would be lifted on landing. He was not sure about whether they would clog a dust filter as fast. But if MPF suddenly ingested 1µ particles suspended in the air below 8 km right after parachute deployment, the hot air associated with the entry-related heat might cause a problem for the tiny filter. Mars Pathfinder pressures are discussed in greater detail in Section 11. Figure 10A (Above) � Reproduced from Tavis CAD Diagram 10011. For Vikings Tavis Dash No -2 had a 0.36 PSIA limit (24.82 mbar). However, Pathfinder Tavis Dash No -1 had a 0.1 PSIA limit (6.9 mbar). Source: Personal communication, Tavis Corporation 10/29/2009. Figure 10B Below � Reproduced from Tavis CAD Diagram 10484. For Mars Pathfinder Tavis Dash No -2 had a 0.174 PSIA limit (12 mbar). However, Pathfinder Tavis Dash No -1 had a 15 PSIA limit (1,034 mbar). Source: Personal communication, Tavis Corporation 10/29/2009. 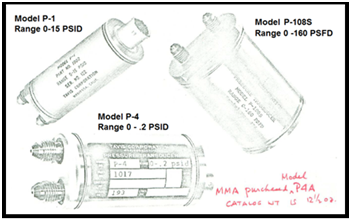 Figure 10D (a bit out of sequence) on the right below: Tavis Transducer 10484 was used on both Pathfinder and Insight. 2.3 Which Transducers were used? A Tavis spokesman (Marty Kudella) thought Pathfinder used Part 10484 (Tavis Dash No. 2). The red words uncontrolled copy subject to revision on both CADS shown allow for a possible need in the future to alter transducer pressure range. Figure 10B lists it as having a 0.174 psia limit (12 mbar), the same limit later imposed by Vaisala on Phoenix. It first appeared that NASA also ordered a Tavis transducer that could measure from 0 to 15 psia (1,034 mbar): Part 10484, Tavis Dash No. 1 – see Figure 10B again. For 9 years we believed that it supposedly remained on Earth and wrote that if for classified reasons, a decision was made to send it in place of the 12 mbar transducer, none of the pressure data published by NASA for Pathfinder would be reliable. If there was a separate transducer that could measure Earth-like pressure its final disposition still isn’t clear at this time, but based on information from the InSight Mission that landed on Mars on November 26, 2018 it seems possible that the same Tavis transducer could operate in either the low or high pressure range. Our Italian partner, Marco de Marco, called Tavis Corp. for clarification. They knew who he is, but wouldn’t answer his questions. We will look at the evidence for one physical transducer rather than two in conjunction with Figure 10D below, but first let’s discuss Tavis transducers in general. Apparently similar looking and sized Tavis transducers could measure up to 0.1 psia (6.9 mbar), 0.174 psia limit (12 mbar), 0.2 psia (13.79 mbar), 0.26 psia (17.9 mbar), 0.36 psia (24.82 mbar), or 15 psia (1,034 mbar). Given their outward similarity and the enigma of Martian weather, the possible installation of the wrong Tavis sensor cannot be overlooked. Perhaps somebody wanted a 15 mbar sensor, and mistakenly chose the 15 psia transducer. People made mistakes back then, and they still do today as will be abundantly apparent later when we examine REMS (Rover Environmental Monitoring Station) data for MSL. For five days straight from September 1 to September 5, 2012 they published Martian pressures of over 740 hPa (Earth-like), when they supposedly meant 740 Pa. A pressure of 740 hPA = 740 mbar, while 740 Pa = 7.4 mbar. They published numerous other similar questionable items or obvious errors (see Section 2.7 and Figures 17A and 17B). As for the Pathfinder, three different Tavis transducers are shown on Figure 10C. See Annex G for further information about various Tavis transducers, but now let’s look at what we learned one night before InSight reached Mars. Until that time we were only told about the geological missions of the probe. Then, at a press conference, we learned that there are also meteorological sensors aboard, including the same Tavis sensor. Figure 10D clarifies a lot. With respect to the dual pressure range, Tavis states “Tavis specializes in custom configurations and capabilities for your specific application. Discuss your application requirements with our engineers for your exploration science needs” (http://pressure-transducers.taviscorp.com/item/all-categories/ressure-transducers-for-interplanetary-exploration/10484). Could a radio signal cause the sensor to toggle from the low range to the high? Again, Tavis wouldn’t tell us, but it’s quite possible. Figure 10C - Three different Tavis transducers. Source: Tavis specifications obtained from NASA Ames. Figure 11A � The top transducer is for Phoenix. Note the tiny dust filter shown under Praw (adapted from Doc. No: FMI_S-PHX-BAR-TN-00 FM-00 Revision 1.0 dated 2009-02-26). The report is entitled The Time Response of the PHOENIX Pressure Sensor). An area of concern for clogging by dust is highlighted. The photo on the right is adapted from http://www.space.fmi.fi/phoenix/?sivu=instrument. The bottom pictures are for MSL. Kahanpää is a critical man to understand. He was the scientist on the REMS Team responsible for publishing pressure data for MSL. As is shown later on Figure 17A, in Section 2.7 and elsewhere in this report, the REMS Team published pressures that varied from 747 hPa to 747 Pa in early September 2012. Annexes M to R of this report detail other radical alterations in pressure data published for MSL Years 1 and 2. There is cause to ask whether Kahanpää was forced to alter data or whether he published Earth-like pressures to protest what he knew to be deliberate disinformation. Figure 12A is extracted from graphs produced by Nelli et al. (2009).33 Their graphs included projections made from a General Circulation Model (GCM) with values hypothesized for 3 am, 9 am, 3 pm and 9 pm local time at Phoenix. We added Ls and data about day length for clarity. Phoenix landed in the Martian arctic in late spring. There was no sunset until Ls 121.1 on its 96th sol on September 1, 2008. By the time the mission ended there were about 16.7 hours of sun light each day. Unlike pressure calculations based on an inverse of normal temperature and pressure relationships that factor in RTG heat becoming available to Viking transducers, on Phoenix there was no RTG. If there was no heater, pressures would be expected to fall directly with the fall in ambient pressures. This happened, but there were indeed four heaters that were turned off just before the lander died.109 The third one operated the Surface Stereo Imager –and the meteorological suite of instruments. It was thought that electronics that operate the meteorological instruments should generate enough heat on their own to keep most of those instruments and the camera functioning. This sounds like there was no need to pump heat into the pressure transducer. If so, there may indeed have been slow cooling of the air trapped behind the clogged dust filter, with no timed heat pumps to cause pressure spikes seen with the Vikings and MSL. Kahanpää & Polkko (2009) stated that the Mars Science Laboratory (MSL), launched in 2011, is a $2 billion cornerstone mission and is therefore handled in a different way than the $454 million dollar scout mission Phoenix.34 The actual cost of MSL was $2.5 billion. However, MSL’s FMI-built sensors (delivered in 2008, see http://space.fmi.fi/solar.htm)35 are in the 0.01 to 11.5 mbar range (see http:/ http://space.fmi.fi/solar.htm/www.spaceflight101.com/msl-rems-instrument-information.html),36 still too low (the REMS Team initially reported a mean pressure of 12 mbar for Sol 1161). I discussed this problem with Dr. Ashwin Vasavada, JPL’s Deputy Director of the MSL, but the inadequate transducer was apparently sent anyway. On December 9, 2012 at http://davidaroffman.com/custom3_45.html we published a prediction that maximum pressure published for MSL would occur around January 31, 2013. Initially our estimate of the date was only off by 2 days, but our 9.45 to 9.5 mbar estimate was higher than the 9.25 mbar published by the REMS Team. However on July 3, 2013 REMS changed all its data. Our estimate was then listed as off by 19 days, but the new pressure was 9.4 mbar, quite close to our 9.45 to 9.5 figure. They later changed it to N/A. Our slightly off eye-balled prediction was only based on our beliefs that the REMS Team would extrapolate (politically expedient) results from pressure curves seen by Viking I and 2 (see Figure 12B), making sure to keep all their invented data points between those of Viking 1 and Viking 2 because MSL’s altitude was between those two probes. Sure enough when we called attention to four MSL pressures that were above the curve in August and September 2012 (see the red hexagon on Figure 12B and also see Table 3); JPL dropped them back to match the curve when they revised their data on July 3, 2013 Likewise, after a pressure of 11.49 mbar was reported for MSL Sol 370 and we called JPL about it, the next sol (371) pressure was back down to 8.65 mbar. They reported 11.77 mbar for Sol 1,160 and 12 mbar for Sol 1,161 but at http://marscorrect.com/photo2_28.html we show they revised them down to 8.99 and 8.98 mbar. Up through the end of MSL Year 3 in March, 2018 JPL tends to alter data more than 7 Pa (0.07 hPa/mbar) off the expected or politically desired pressure curve. See Table 3. Figure 12B: Except for Sol 370 the black MSL pressure curve is suspiciously too close to the Viking 2 curve above it and the Viking 1 curve below it. Figure 12C: Pressures originally published by the REMS Team and JPL that were more than 7 Pa off the expected curves were altered to fit the curve. NOTE: FIGURE 12C NEEDS TO BE ADDED TO THE WORD/PDF VERSION OF THIS REPORT. Table 3 shows some (not all) of how JPL/REMS altered off the curve data for August and September 2012 and August 2013 and on through at least November 14, 2018, after we either brought the deviations up to JPL Public Relations Director Guy Webster, or published on our davidaroffman.com and marscorrect.com websites. This report is continued at MARS REPORT Section 2.5.